Want to Ensure All Workers Have the Right to Earn Sick Days? Join the Coalition for Healthy Families and Workplaces for a Letter Writing Party on December 7! In addition to networking, free coffee and refreshments, and an opportunity to learn more about earned sick time, we will be asking each person to put pen to paper and let their members of City Council know why earning paid sick days is important. Come for the entire event or just stop in to send a letter. Free coffee and a light breakfast will be provided. Right before heading out of town for Thanksgiving, the Senate took care of some important unfinished business, passing by unanimous consent a bill that included a one year extension of the Temporary Assistance for Needy Families (TANF) block grant, through September 30, 2011. The House is expected to approve this bill after it returns to session. The extension includes two new reporting requirements for states. Unfortunately, this extension does not include the TANF Emergency Fund, which assisted states that increased spending on subsidized jobs, basic assistance and short-term benefits during fiscal years 2009 and 2010. There is hope that Congress will add funding for the TANF Emergency Fund during the "lame duck" session. Please contact your Senators and thank them for taking action on such an important bill. Also, contact your Representative and urge him or her to move this bill forward as well. With the holidays right around the corner, it is time for PathWays PA's Adopt-a-Family. The Adopt-a-Family program offers the families who receive PathWays PA services many of the joys of the holiday season they may otherwise be without. Thanks to the generous contributions of local donors, special memories of holidays past have been created for the families we serve. Thousands of client families have benefited from this program through the years! This year, client families will again be partnered with donors based on their size and the ages of their children. After being paired up with a client family, a wish list will be sent to the donors with the receiving family's genders, ages, clothing sizes and their holiday wishes. The donor family chooses to purchase any or all of the items on the clients' list, or substitute items that they feel the client may enjoy. Non-perishable food baskets are also welcomed. If you would like to post our latest action alerts on your website, just click here to download our widget! Nearly 43,000 adults in Pennsylvania may be losing their health insurance early next year when adultBasic, an affordable health care option for adults who have recently lost health coverage and meet certain income guidelines, runs out of money. According to the Philadelphia Inquirer, adultBasic will run out of funding by early next year. The reason for the lack of funding is that adultBasic was underfunded by $54 million in the 2010-11 Fiscal Year. The program was scheduled to end by the end of 2010, however, the insurance companies that fund part of the program agreed to extend it until July of 2011. The problem lies in that the insurance contributions are not enough to sustain adultBasic beyond early 2011, meaning that thousands of working Pennsylvanians are at risk of losing their health coverage early next year, soon after Governor Corbett goes into office. Termination notices may go out as early as December. to incorporate the principle of equality of men and women in their legal system, abolish all discriminatory laws and adopt appropriate ones prohibiting discrimination against women;to establish tribunals and other public institutions to ensure the effective protection of women against discrimination; andto ensure elimination of all acts of discrimination against women by persons, organizations or enterprises. PathWays PA Inc. in the Holmes section of Ridley Township was awarded $20,550 from the IRS as a Volunteer Income Tax Assistance grant. The VITA Program offers free tax help to low- to moderate-income (generally, $49,000 and below) people who cannot prepare their own tax returns. Certified volunteers sponsored by various organizations receive training to help prepare basic tax returns in communities across the country. Volunteer Income Tax Assistance sites are generally located at community and neighborhood centers, libraries, schools, shopping malls and other convenient locations. Most locations also offer free electronic filing. To locate the nearest VITA site, call 800-906-9887.To see the article, please visit the Daily Times website. During the past quarter, health policy has centered on five major subjects: health care reform, health insurance, the health care workforce, health information technology, and geriatric care. Please click here to read a discussion of the developments in each policy area and the implications of such developments for providers, employers, employees, and consumers in the health care industry. With the Senate back in session, a vote was scheduled today on the Paycheck Fairness Act, which would close loopholes in current legislation while preventing pay discrimination and prohibiting employer retaliation. In the United States, women earn 77 cents for every dollar earned by men. Over a forty-year career, this amount could add up to between $500,000 and $1 million. Even in one year, the additional 23 cents is the equivalent of eight months of groceries. When the Paycheck Fairness Act came up today, it needed 60 votes to survive a procedural filibuster. Unfortunately, it only received 58, with 41 votes against it. If you support Paycheck Fairness, please take a moment to see how your Senators voted. If your Senators were supporters, please thank them for their help, and ask them to pledge to support future pay equity measures. If they were not supporters, please let them know your thoughts about their votes. A 21 year old who has suffered from diabetes since age 13A parent who doesn't set a place for herself at the dinner table so her children can eatA 2 year old with developmental disabilities due to a lack of foodA report released yesterday by the US Department of Agriculture shows that 15% of US households “didn’t have access at all times to enough food for an active, healthy life,” making those households food insecure. More than 23% of children in the US are food insecure. The Unemployment Insurance program is a lifeline for millions of unemployed Americans and their families. Since January of 2009, there have been five job seekers for every one job opening. Despite continued efforts to find employment, the lack of demand for workers means that many must rely on their unemployment benefits to pay their bills and put food on their table. In addition to those seeking employment, communities and businesses also rely on unemployment benefits to ensure that they still have customers buying their products. For every dollar spent on unemployment benefits, the economy receives a boost equivalent to up to $1.90. Just a few weeks ago the Senate passed HB 60, the Pennsylvania Housing Affordability and Rehabilitation Enhancement Act (PHARE), by a vote of 47 to 2. This bill passed the House yesterday and is awaiting the Governor’s signature. The bill would establish a State Housing Trust Fund, which would support programs to increase the availability of homes within reach of low- and moderate-income Pennsylvanians. According to the Federal Reserve Bank of Philadelphia there is a shortage of 220,000 affordable rental homes available to extremely low-income families. 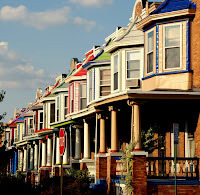 Through this bill the Pennsylvania Housing Finance Authority (PHFA) would be able to expand its efforts of promoting affordable housing projects across the Commonwealth. House Bill 60 would be funded if and when the National Housing Trust Fund is approved by Congress. It is estimate that Pennsylvania will receive about $35 million. This money would be deposited to the fund and administered by PHFA. ACT ON EQUAL PAY TODAY! This Wednesday, November 17th, the Senate will vote on an important bill for families across the nation - the Paycheck Fairness Act. Please take action now by calling your Senators and asking them to ensure that all workers have access to equal pay! The Paycheck Fairness Act would close important gaps in current law to ensure that employees can compare salaries without retaliation, to improve wage data collection, and to put remedies for wage discrimination on an equal level with racial and ethnic discrimination. 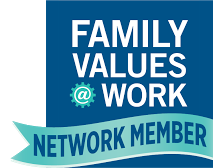 Why is paycheck fairness important for families? Currently, women earn 77 cents for each dollar earned by men. The pay gap adds up to an average of nearly $11,000 per year, or enough money to buy groceries for eight months. With women acting as the bread-winner or co-bread-winner for two-thirds of families, that additional money could support many households in need. Thank you to the Coalition on Human Needs for putting the below information together. Taxes: If the tax cuts made in 2001 or 2003 (as known as the Bush tax cuts) are extended, Congress will have to decide if the improvements to the refundable Child Tax Credit and the Earned Income Tax Credit included in the Recovery Act will be part of that extension. 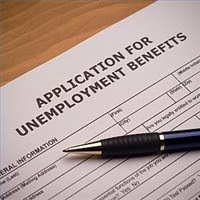 Unemployment Insurance: In July, Congress extended federal unemployment benefits for the long-term unemployed through the end of November. Unless Congress acts this fall, the unemployed will once again face the abrupt termination of their unemployment compensation. As many of you already know, the Pennsylvania House has decided to come back into session on Monday to vote on legislation. While we support this decision, a one-day session will not be long enough to pass some important legislation, including the Industry Partnership bill (SB 1409). This bill, which has broad bipartisan support, needs additional session days so it can be reported out of the Labor Relations Committee and added to the House calendar. With your help, this important legislation can move forward. "The Industry Partnership program has proven itself to be valuable to Pennsylvania's businesses and employees. Please extend the session for a few more days so that SB 1409 and other important legislation can be considered this year." Thank you for the news story "Survey: Two-thirds of restaurant employees come to work sick" (Oct. 26 and TribLIVE.com). In Pennsylvania, more than 45 percent of workers (including restaurant workers) do not have the opportunity to earn paid sick time. The Coalition for Healthy Families and Workplaces is working to pass legislation to ensure all Pennsylvania workers have the opportunity to earn a minimum number of sick days to care for themselves or loved ones. Under this legislation, workers could earn up to six and a half such paid days per year. When workers without sick time become ill, they have to choose between working sick or losing their pay (or their jobs). Not surprisingly, many choose their jobs over their health. Yet when they have access to sick time, their productivity increases and they are much less likely to spread illnesses to co-workers and the public. How Much Does it Cost for Nontraditional Students to Attend Community College? A Recent Report Doesn't Say. In our previous blog post, we looked at a recent study on the cost of college across the country, and how that cost is declining. One group this study does not focus on, unfortunately, is nontraditional students. Instead, it focuses on full-time enrollees, usually made up of recent high school graduates. Nontraditional students, in comparison, often attend school part-time (or less than part-time), work part-time or full-time, and often juggle family responsibilities as well as work and school. So, while the out-of-pocket costs for students has decreased for many full-time students, the same may not apply to nontraditional students. Nontraditional students often do not qualify for Pell grants, for instance, which are seen as playing an important role in bringing down the cost of college. In the College Board's latest breakdown of tuition costs for students, researchers have found that while the cost of tuition is on the upswing for students, the combination of grants and loans they receive has actually brought their out-of-pocket costs down. Total grant aid increased by about 22 percent in 2009-2010, with much of the increase due to Federal Pell grants and Veterans' Benefits. But when it comes to higher education as a whole, even when counting federal stimulus spending, Pennsylvania ranked 6th lowest in state tax appropriations for higher education per $1,000 in personal income. In other words, only five other states used a smaller percentage of taxes based on income to pay for higher education. On average in the United States, $6.60 is appropriated per $1,000 of personal income for higher education. In Pennsylvania, that number is just a little over $4.00. 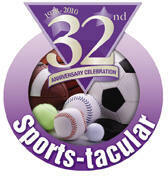 It’s Not too Late to Join PathWays PA for our PathWays to the Starts 32nd Anniversary Celebration Sports-tacular! The silent auction will feature Phillies, Flyers, Eagles and Sixers tickets and memorabilia. Also, as part of the festivities, we will present this year's Trailblazer Awards to five inspiring individuals. To read about the 2010 Trailblazer Honorees, click here. To bid on silent auction items, click here. Tickets to the event are $50 and may be purchased online. Further information on corporate and individual sponsorships can be found here.